As Google begins shipping the Google Pixel 2 and Google Pixel 2 XL smartphones, Andy Rubin's Essential Products has slashed the price of the company's first smartphone - the Essential Phone - from $699 (roughly Rs. 45,460) to $499 (roughly Rs. 32,457) as the newly founded startup attempts to better compete with the big guns. Niccolo de Masi, President and Chief Operating Officer of Essential, made the announcement over the weekend, noting that the move comes as the startup attempts to "make it even easier for you to experience our products and our band." Users can purchase the handset at the revised price from Essential.com, he said. The price revision may help the Essential Phone lure some customers who might have been eyeing Apple's iPhone X, which goes on sale on November 3, and Google's Pixel 2 XL, which went on sale this month. Compared to Essential Phone's $499 price sticker, the Google Pixel 2 XL starts at $849, whereas the base variant iPhone X is priced at $999. Or so will be the hope of the company. According to some figures from marketing research firms, the Essential Phone isn't exactly a hot seller. 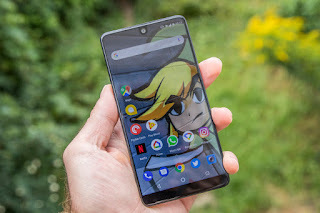 Baystreet Research, which tracks shipments of phones and other devices across the US, estimated last month that Essential Products has sold just 5,000 units on Sprint carrier in the US. Even as the data didn't reveal exactly how many phones Essential Products has shipped from various channels, it gives us a glimpse at what to expect. Essential says the price drop is part of a "limited time offer," so you might want to rush if you want the handset. The offer will end on November 15th, according to the description in the footprint. Interested customers can avail the discount from this page. "At Essential, one of our driving principles is that premium craftsmanship and the latest technologies shouldn't be for the few. We could have created a massive TV campaign to capture your attention, but we think making it easier for people to get their hands on our first products is a better way to get to know us," Essential's Masi wrote.